Buried surface hoar persists in the snowpack but has become less reactive. Use caution in steep protected openings and draws below 6,500'. Expect avalanche hazard to rise to CONSIDERABLE by Saturday if the predicted storm brings more snow and wind into the area. The new snow will fall on a fresh layer of surface hoar below treeline and crust layers above treeline creating reactive conditions this weekend. There are currently two surface hoar layers within the snowpack. The older and larger layer of crystals that developed mid January is becoming less reactive in stability tests and showing a low likelihood of failure and propagation. A small layer is being found underneath last Wednesdays(1/23) storm snow in isolated drainage bottoms below 6,000' that was reactive and producing shooting cracks and collapsing on Monday. It seems to be very much contained to protected pockets and will likely produce soft slab avalanches 10" thick. Use caution near creek/drainage bottoms in the mountains at elevation between 4,000-6,000' where these sensitive pockets may exist. Pay attention for signs of instability such as the shooting cracks you see under my skis below and listen for audible collapsing sounds in timbered openings. Shooting cracks and 10" soft slabs reacting January 28th in isolated and protected draws where surface hoar developed between storms. The forecasted weather is predicting the temperatures to rise today and into Saturday with the incoming storm. 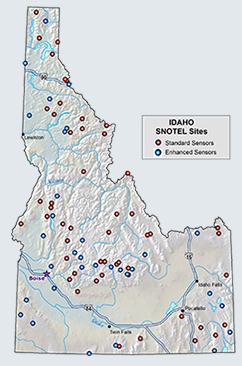 Snotel sites across the Kootenai are already recording pretty mild temperatures as of Friday morning. This will create the potential for loose-wet slides at lower elevations below 5,000'. On January 31st we ventured into China Basin and the Pulpit Mt. area. Stability tests proved that the surface hoar is still out there and easy to find. It produced failures with moderate to hard force but did not propagate in any of the stability tests. At this point it will be very difficult to trigger this weak layer but still possible in areas that I mentioned above in the "Persistent Slab Problem". My main concern going into the weekend will be the potential for Storm Slabs and Wind Slabs as another predicted storm rolls in. This forecast expires on Saturday morning; but, if the predicted weather plays out we can expect close to a foot of snow that will fall on yet another layer of weak surface hoar crystals below treeline. Above treeline the new snow will fall on a thin, reactive wind crust on northerly aspects and a sun crust on southerly aspects. Basically, the mountains have formed a poor surface for new snow to bond to at all elevations. snowfall and gusty northeast to easterly winds. Avalanche conditions change for better or worse continually. Backcountry travelers should be prepared to assess current conditions for themselves, plan their routes of travel accordingly, and never travel alone. Backcountry travelers can reduce their exposure to avalanche hazards by utilizing timbered trails and ridge routes and by avoiding open and exposed terrain with slope angles of 30 degrees or more. Backcountry travelers should carry the necessary avalanche rescue equipment such as a shovel, avalanche probe or probe ski poles, a rescue beacon and a well-equipped first aid kit. 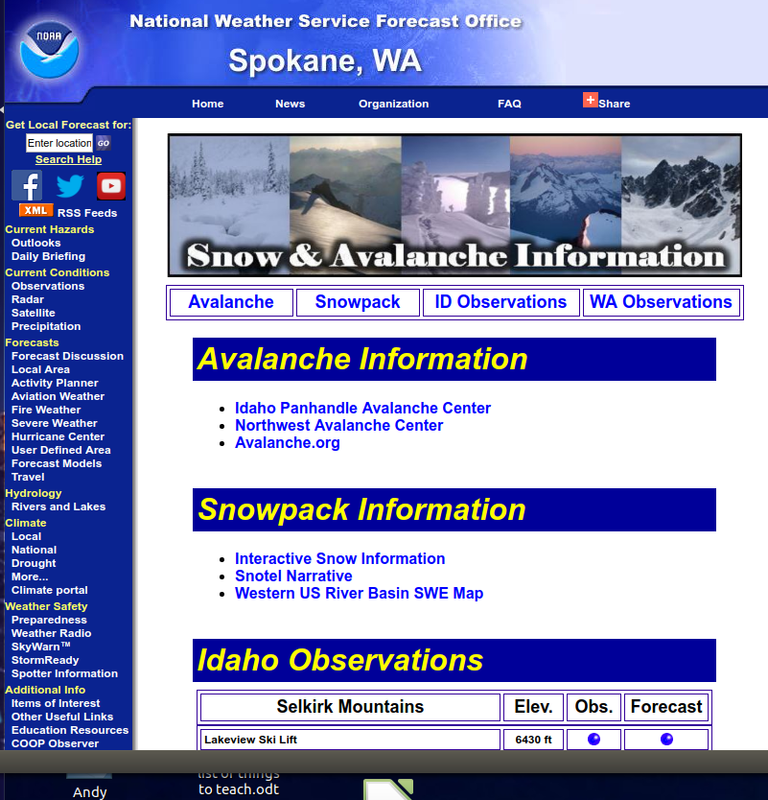 For a recorded version of the Avalanche Advisory call (208)765-7323.